It's sort of expected drug-related PSAs will shock, disgust and make you squirm. After all, it's the whole scared straight thing, right? Here's one from Bungalow25 for the Spanish Foundation Against Drug Addiction that aims to prevent alcohol abuse among Spanish youths. In the ad, a girl begins to puke on the sidewalk. Then she REALLY begins to puke. And then the commercial turns into an Alien movie. And finally, the ad closes with "Every time you get drunk you separate yourself from the things that matter most." This is hilarious! And so welcome. After years of trashing the anti-smoking Truth campaign for its idiotic use of anachronistic quotes from tobacco company executives and Derek Beckles, this new work from Arnold Worldwide made us laugh. Of course, it's 4th grade bathroom humor but no one ever really grows out of that. Take a look at how Arnold conveys the fact methane is found in dog poop and cigarette smoke and urea (aka carbamide which is an organic chemical compound and the waste produced by the body after metabolizing protein) is found in cat pee and cigarettes. Good stuff. As a parent, you no doubt experience pangs of trepidation -- no, horror -- when you leave your children with a babysitter you may not know very well. You wonder if your children will be well cared for, whether they will be fed properly, whether they go to bed on time. 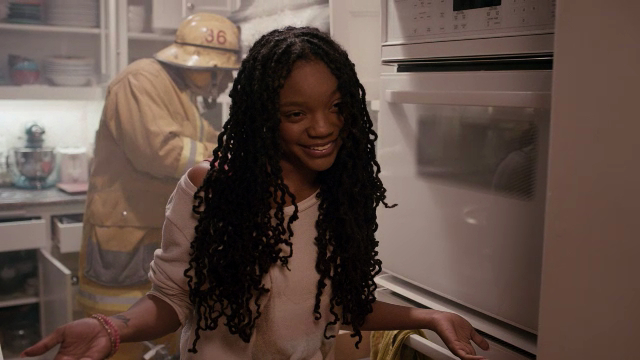 But, if you've ever had any of the three types of babysitters featured in this BBDO Atlanta-created, Tool-produced commercial, your concerns are a bit more serious and you'll want to make sure your next babysitter has take the American Red Cross' Babysitting Basics course before leaving the house. To promote awareness of World Parkinson's Day-April 11, 2013, Draftfcb + Shimoni Finkelstein Barki invited 18 different Parkinson's patients to create ads in their own handwriting. Each patient wrote the message 'Today is World Parkinson's Day' and signed their name under the headline. Their shaky handwriting created a graphic and self-explanatory way to express the degenerative effects of the disease and its effect on the lives of 20,000 patients in Israel. In an effort to call attention to little known Duchenne Muscular Dystrophy which is slowly and painfully killing his 6 year old son, Harrison, Alex Smith can be seen along with his son in a AIS London-created PSA for the desease which carries the headline, "I Wish My Son Had Cancer." The strategy behind the ad, of course, is that cancer is widely known -- and well funded -- as compared to Duchenne Muscular Dystrophy so, in a sense, Harrison might have a fighting chance had he suffered from cancer instead. The ad copy gets straight to the point, "Harrison, my 6 year old, has Duchenne Muscular Dystrophy. He is one of 2,500 sufferers in the UK who'll die from it, most before they're 20. Unlike cancer, there's no treatment and no cure. And because you've never heard of it, very little funding either. My only hope is to raise as much money as possible for the research scientists. They're close to a major breakthrough. Your 5 pounds can get them even closer." The ad is receiving a lot of press in the UK and Alex was invited by ITV for an interview which you can watch below. Visual effects company Light of Day teamed with the WAT-AHH! Foundation, a brand of bottled water for kids and teens, to create a PSA promoting the third annual "Move Your Body" event, to be held in New York and Los Angeles on May 1. Here are three of the strangest quit smoking ads you will ever see. Created by Sukle Advertising & Design for the Wyoming Department of Health, three ads explain how the department can help people conquer the challenge. 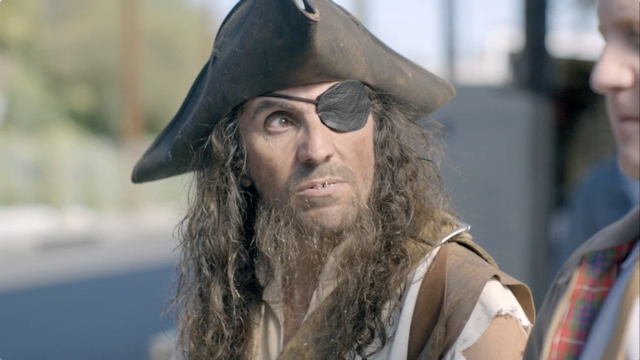 In "Patches," a man nervously eyes a peg-legged pirate on a city street corner, before gleefully snatching the pirate's eye patch. A deadpan voiceover reminds viewers that free nicotine patches are available. "Gum" opens with an agitated young man watching an older woman take a piece of gum, which he then extracts from her mouth through a passionate kiss. Free nicotine gum is also available from the Health Department. Finally, in "Someone," a long-haired ex-smoker tells his troubles to a friendly man who dispenses advice. When it turns out the two men are one and the same, the voiceover reveals that "someone to talk to" is also available and free. Not quite as hard hitting as this online safety ad in which a girl placers and picture of herself on a school bulletin board and then can't remove it, this new Cossette-created ad for Children of the Street pushes the same message; be careful what you post online. 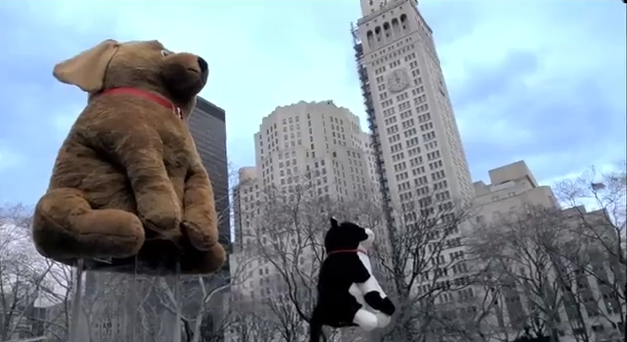 While the online safety ad focused on bullying, the Children of the Street ad aims to raise awareness of the sexual exploitation of youth. What's a PSA without a good fart joke? That's the tact BBDO Toronto and the Perlorian Brothers took when they created new work for the Ontario Ministry of Health's Quit the Denial campaign. 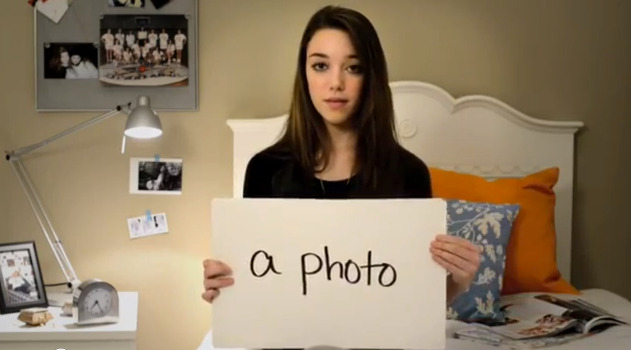 The campaign introduces us to a girl who admits she is a social farter. In the PSA, she claims, "Just because I fart at parties now and then, it doesn't make me a farter." Our lass has no trouble at all letting it rip at parties, while dancing or talking to guys. And she has no problem approaches guys to ask, "Do you want to go outside for a fart?" We could rail on endlessly about yet another usage of Harlem Shake to sell something but we think you'll feel a bit differently after watching this one from a Netherlands-based Parkinson's Desease foundation. In the video, we see the foundation's founder (who has Parkinson's) do his best to Harlem Shake. The video, created by Saatchi & Saatchi Amsterdam, ends not as you would expect and with the tagline, "Shaking. Fun For Some...Daily Struggle For Others."